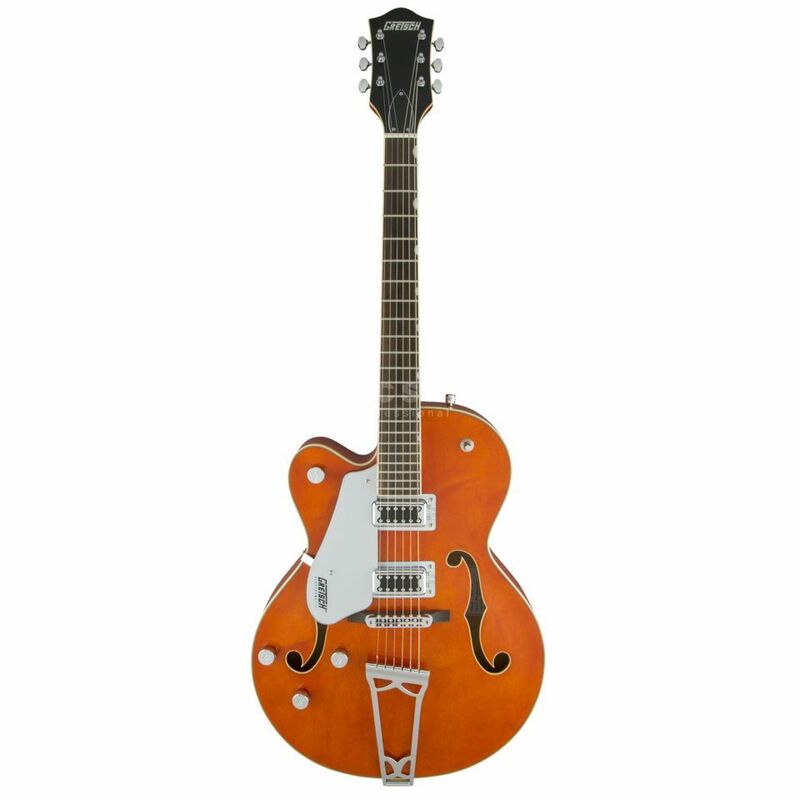 The Gretsch G5420LH Electromatic Left-Handed Electric Guitar Orange Stain is a 6-string left-handed electric guitar, with a hollowbody design, dual 'Black Top' Filter'tron humbucker pickups, a Gretsch 'G-Cutout' tailpiece, and an orange stain finish. This Electromatic guitar enables left handed people to engage with the same instrument that has been famous among right handed players. Featuring a pair of 'Black Top' Filter'tron humbucker pickups, for the bridge and neck positions, this guitar has oversized bound F-holes and aged multi-ply body binding.